On-trend alert: pave diamond eternity rings are here to stay! 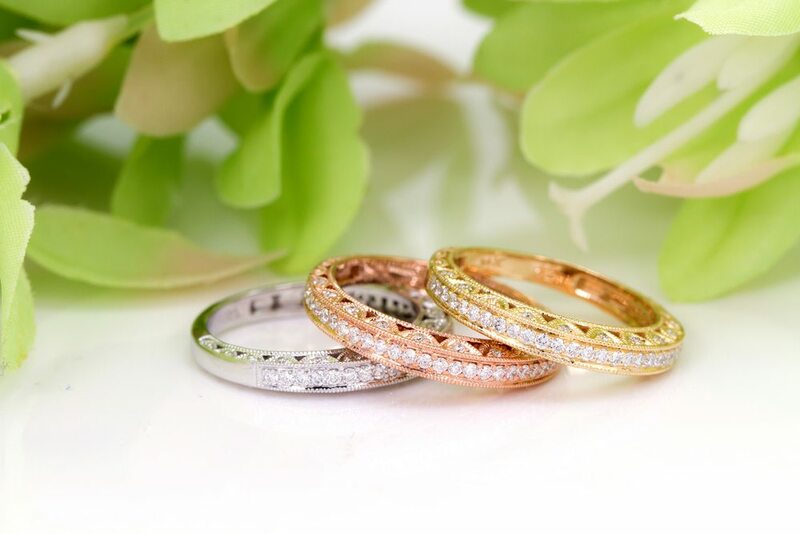 Also known as infinity rings, eternity rings feature an unbroken line of diamonds around the band of the ring, symbolize pretty much what you’d expect from the name: enduring love that never ends. This romantic sentiment resonates with so many that it’s become a standard for couples who want something a little more than a plain band. Traditionally given as a significant anniversary gift or after a first child together, some couples choose to exchange eternity rings at the altar (or even at engagement), especially if it’s a second marriage for one partner who wants to set their new union apart from the past. First thing’s first: setting your budget gives you a solid guideline to refer to as you go about the shopping process. When buying a ring for a major occasion, such as an engagement ring or significant anniversary, go traditional by budgeting two or three months’ salary. Most important than tradition, however, is to choose a budget that matches your lifestyle. 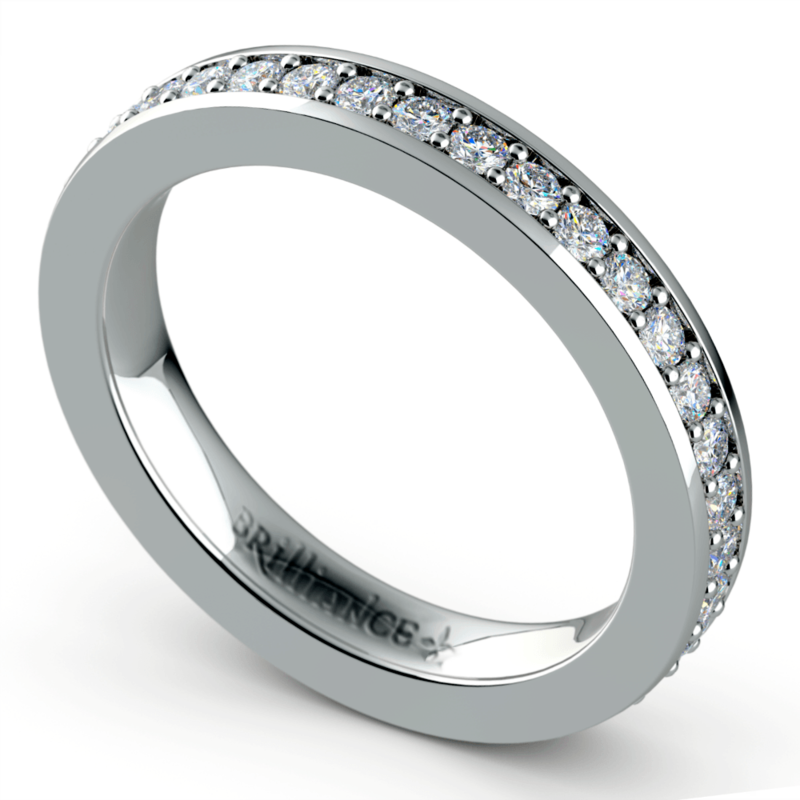 Eternity rings have a lot of diamonds, but they must be small to fit within the pave setting, so it is possible to find eternity wedding rings at a reasonable price point. By playing with the total carat size or even the clarity or color of your diamonds, you can put a eternity ring in your price range. You can find a French pave eternity band as low as $500 or $600, or go all the way up to $5,000 and beyond if extravagance is your taste. For the best shopping experience, set a range rather than a target number, as you might need the flexibility. Gold is the traditional standard for wedding rings and engagement rings alike, but it doesn’t have to be the only choice. This precious metal can be a bit too soft and fragile for couples who use their hands a lot at work, or are fairly active and need metal that withstands the wear and tear of everyday life. A pave diamond gold ring isn’t the only option! Instead, you can get a fairly similar look by going with hard metals such as platinum or titanium. These metals naturally come in a cool silver tone that looks very similar to white gold at a glance. Plus, did you know that platinum is one of the strongest heaviest metals around, and four times as heavy and strong as gold? 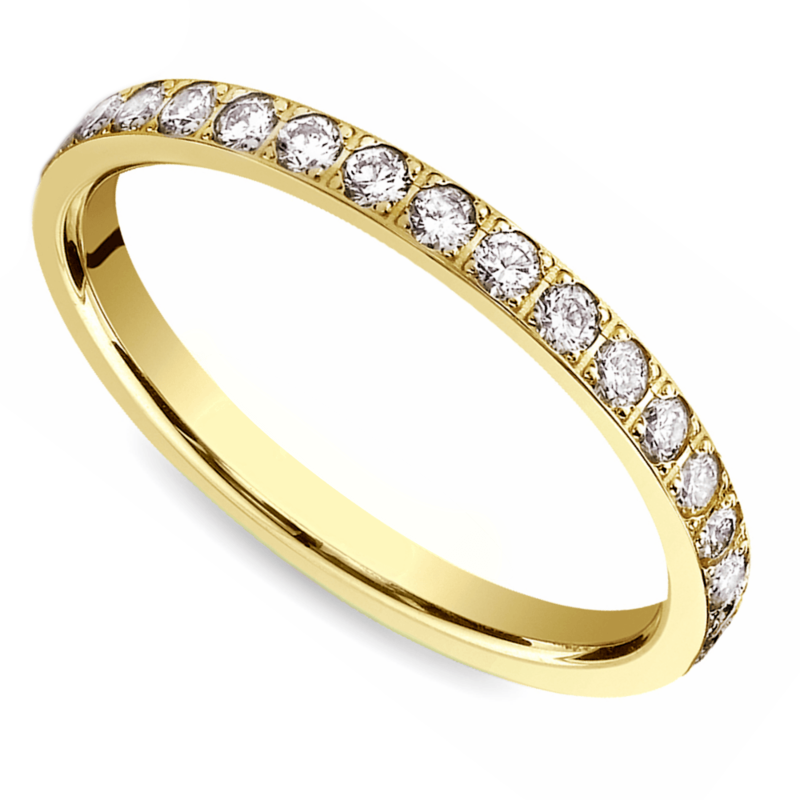 What’s great about eternity rings is that they come in such a huge range of colors and styles. Whether you’re looking for a somewhat traditional wedding band in yellow gold and colorless diamonds, or a pave diamond engagement ring that uses your beloved’s favorite colors and metals, there’s sure to be a ring that works for you. 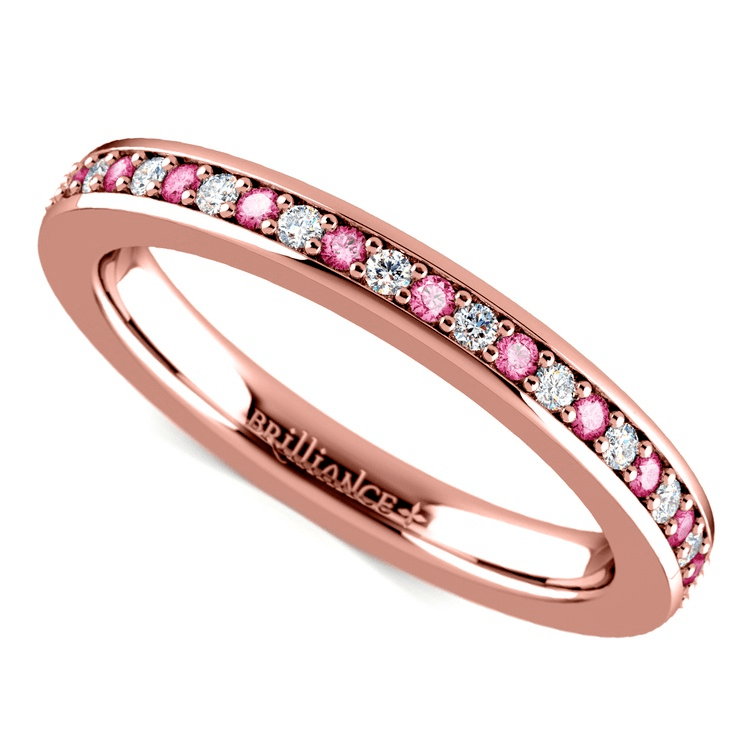 You can even incorporate gemstones into your eternity ring! Choose your partner’s favorite color, or pick a gemstone with personal meaning, such as their birthstone. Looking for a daintier look? A petite pave ring might be exactly what you’re looking for, with twice as many diamonds as the typical pave ring, but each half the size. This look is subtle and yet completely dazzling once you get an up-close look. Now you know what you’re looking for and how to choose the ring that’s perfectly right for your relationship. Ready to take the plunge and treat your sweetheart to a pave diamond infinity ring? Brilliance.com is here to help!